Under the scorching sun, diggers and earthmovers are hard at work breaking ground on a new French military base in east-central Mali where troops will begin operating near the Burkina border. The base will be the newest outpost of Operation Barkhane, France's 4,500-strong anti-jihadist force which is headquartered in Chad but also operates in Burkina Faso, Mali and Niger. 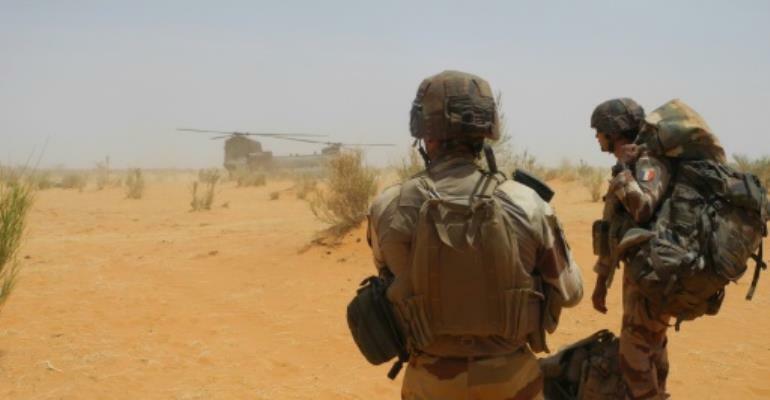 Within Mali itself, French forces have spent the last 18 months largely fighting jihadists from ISGS (Islamic State in the Greater Sahel) in the northeastern Liptako region which flanks Niger. But now the force is expanding westwards into the central Gourma area -- a crossroads region that flanks Mali's border with Burkina. Here, a sea of tents and containers marks out the site of the new base just outside the town of Gossi. "This will be the main base for operations in the Gourma region where the threat is active," explained the base commander, who spoke on condition of being identified only by his first name, Francois. "Before, we dipped in and out of the region but now we're planting the flag here and staying," said another high-ranking officer, who requested anonymity. Kicking up clouds of red dust, the construction work is well under way, the drivers togged up in bulletproof vests in temperatures approaching 50 degrees Celsius (122 degrees Fahrenheit). Since mid-January, troops have been hard at work on the site and are currently drilling to source water. For now, supplies are brought in from Gao, and when the water tanks run dry, they use bottled water for showers. Located some 150 kilometres (90 miles) southwest of Gao, the new outpost will stand on a former UN peacekeeper base, and be home to up to several hundred French soldiers. A huge area stretching south of the Niger River, Gourma straddles parts of the regions of Gao, Timbuktu and Mopti and is a known haven for armed groups who hide in the forests along the Burkina border, said Barkhane head General Frederic Blachon. 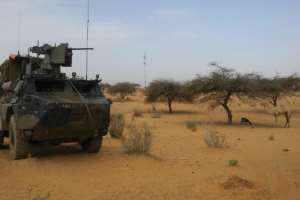 In recent weeks, Malian troops have suffered heavy losses in Gourma and this week a French military doctor was killed when his armoured vehicle ran over a bomb. Both the ISGS and other shadowy jihadists operate in the region, including one particularly active group called the "Gourma Katiba" which is linked to the GSIM, the main regional alliance supporting Al-Qaeda. Gourma Katiba's leader Al-Mansour Ag Alkassim was killed in November during a French raid. Another powerful group, Ansarul Islam, is implanted in southern Gourma along the Burkina border. Its militants are thought to be responsible for a string of attacks in northern Burkina which began in 2015. The violence has spread to the country's east in a wave of bloodshed that the authorities appear unable to stop. "When you're in Gourma, you can reach anywhere in the area. You can even provide support in Burkina if needed," Blachon told AFP and France's RFI in an interview. Burkina, Chad, Mali, Mauritania and Niger are bound in a French-backed alliance, the G5 Sahel, to fight jihadism on the southern rim of the Sahara. 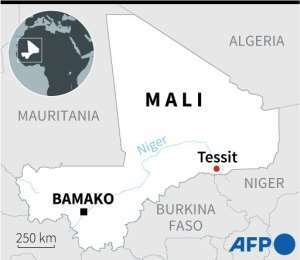 Extremists linked to Al-Qaeda took control of Mali's vast desert north in early 2012, but were largely driven out in a French-led military operation that began in January 2013. But huge areas are still in the grip of lawlessness, despite a 2015 peace agreement with some armed groups that sought to definitively stamp out the jihadist threat. Since then, the jihadist threat has shifted from the north towards the more densely-populated centre of the country, where it has fanned the flames of local ethnic conflicts which date back years. 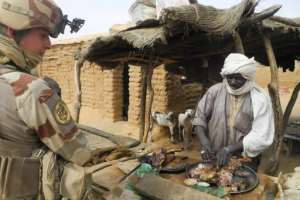 The Malian government on Wednesday said that 450 civilians and 150 military personnel -- Malian and foreign -- had been killed in the first three months of this year alone. On March 23, more than 160 people from a Fulani herding community were slaughtered in Ogossogou, a village near the Burkina border, by militiamen believed to be from the rival Dogon ethnic group. Such inter-ethnic violence has complicated Barkhane's work to root out jihadists, Blachon admits. "Inter-communal violence is the real threat and the biggest risk for this country. It is extremely difficult to know where a particular conflict began which then kicks off a string of revenge attacks," he said. "It's the big fear of any armed force, whether UN peacekeepers or a national army which has come to help out. We know how complicated it is to get out of such a spiral. So we need to act in a way that doesn't exacerbate the problem." The aim was to avoid favouring one particular group over another, he said. "It's all about not falling into this trap. The work of a force like Barkhane is to neutralise the real terrorists while supporting those in charge of development. You have to treat the root of the problem, which does not mean supporting one ethic group or particular community."